$35.2 REED and BARTON Old POPPY FLOWER Sterling Silver Sauce Ladle 5 1/4"
Buy: $383.78 Silver hallmarked Birmingham 19513 piece condiment set in original box. 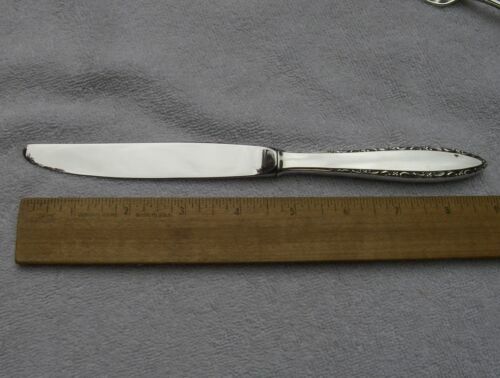 $59.99 Oneida Sterling DAMASK ROSE (1946) Cold Meat Fork-No Mono-NR! $13.0 1883 F.B. Rogers Silver Company 1630 Clam Shell Shaped Serving Dish 10"X8.5"X2"
Buy: $10.0 Elios White Ceramic gravy boat with an underplate. Buy: $25.0 Silver plate Oneida Community gravy ladle and spoon. 1946 Queen Bess II design.